The City of Perth has joined the Western Australian Government and the National Retail Association in preparing Perth businesses for the state-wide plastic bag ban. Kathleen Ridgwell, Senior Sustainability Officer for the City of Perth, joined our team on the streets of Perth yesterday to see how businesses were transitioning away from plastic bags. “We’re proud to support the NRA’s Retailer Engagement Program and I’m pleased to see so many Perth businesses taking up great environmental initiatives,” said Kathleen. Kathleen joined Victor from Zambrero (pictured above, far left) to discuss how their brown paper bags, sustainable cutlery and other plastic reduction measures had received a high level of community support. 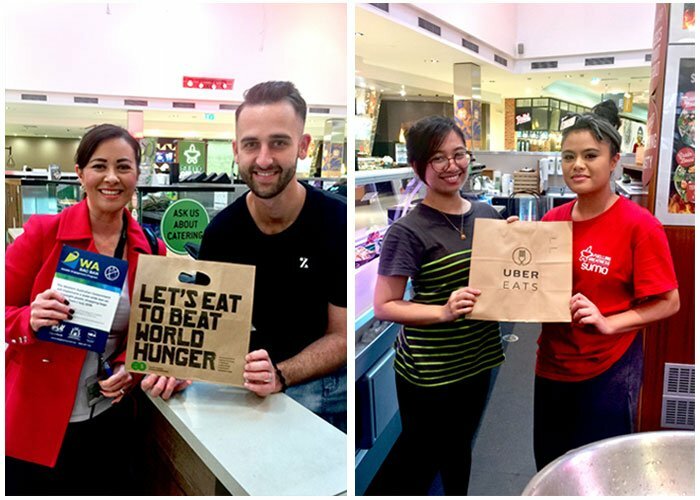 Lui and Marian of Sumo Salad in the Enex100 centre (pictured above, far right) showed off their Uber Eats bags as they’ve started to phase out single-use plastic bags ready for 1 July. 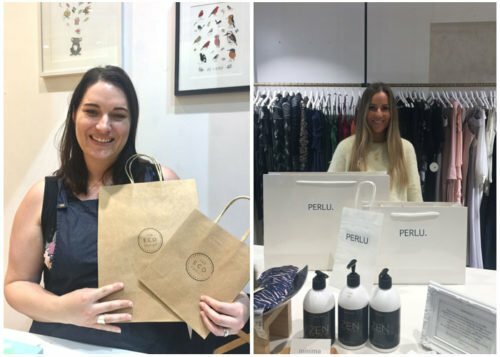 Jodie from The Eco Hub Pop-up Store (pictured far left) and Jessica at Perlu (pictured far right) show off their paper bag range.